The boy that never wants to grow up is not necessarily puerile, more unwilling. He doesn't want to accept the roles and responsibilities of the adult world like getting a job, having a family and dealing with money. In reality, we would all like to fly away with the fairies to Neverland and play in trees. 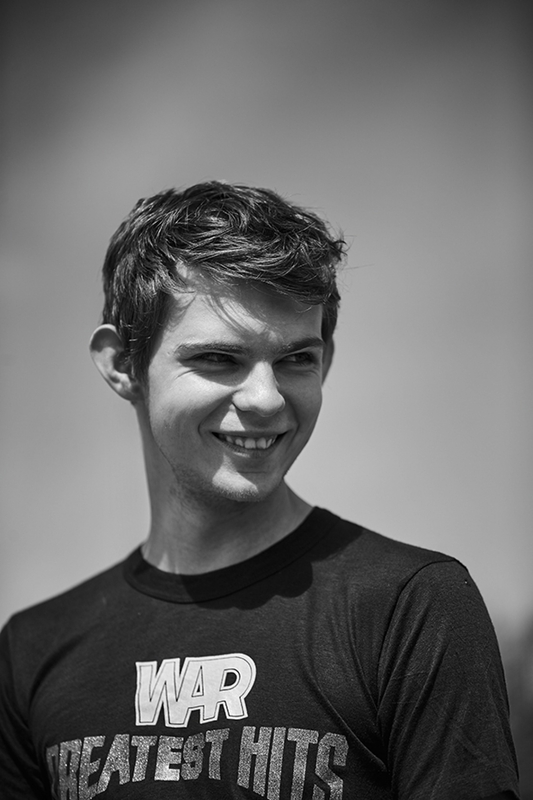 Robbie Kay, a British actor boasting 20 years of youth, flew to LA to persue his Hollywood dreams of becoming a star. Following last week's brief preview of his 8-page Issue 10 feature, today we share a teaser including some of his words from his powerful interview. It all started in Prague; the Czech city was one of the many European capitals that Robbie's family travelled to during his childhood, and it was here that he attended his first audition. Acting initially as moral support for his friend's audition, Robbie landed a speaking role at the end of the day and he blew up thereafter. His cute little ears are a statement piece in the Robbie Kay look, and as Dani Brubaker's camera toyed with him, his unique aesthetics made him unmissable for Issue 10, 'Muse'. “Acting was something I decided to explore on the side,” explains Robbie. “My mum and dad never made me feel like this was an all or nothing pursuit for me. They didn’t put all their chips into one basket, if you know what I mean." “When the producers offered me the role of Peter Pan, I was aware the part had been played predominantly by women the last 100 years. What interested me about the ‘Once Upon a Time’ portrayal, was the way they had written the part." A world away from green tights and feathered hats, Sean Knight styles Robbie in several sophisticated SS16 looks depicting Robbie as the suave boy we all know him to be. Running around his new LA territory and his cowboy hat in tow, Jen Fiamengo kept him in check and camera ready at all times. Currently enjoying him on screen in 'Heroes Reborn', the next thing to look forward to is a chilling and supernatural performance. Robbie is working on horror film 'Cold Moon', and challenging his ability to transform the director's vision further. “There is a lot to be said about taking on information from other people. I think you would be missing out as an actor if you neglected those opportunities." "Being able to put an acting project behind me and return to my normal routine is the one part of me I never let slip away. I owe my parents everything for standing behind me this whole time." “What acting all boils down to for me is this; I want to create a legacy that justifies the family name and makes them all proud." Check out Robbie's full feature in Issue 10, 'Muse', available both in stores and online, but for now, enjoy some of our favourite bits in conversation with Robbie Kay. Above intro by Savannah Liu.